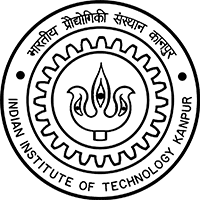 IIT Kanpur Jobs Recruitment Notification 2019.IIT Kanpur inviting applications for the positions of Content Writers in Tamil, Telugu, English, Hindi and Punjabi for eLearning initiative, IIT Kanpur.Interested and Eligible candidates can apply for the positions. Bachelor degree with 0-3 year content industry experience, preferred in content acquisition, content operation or related field. Appointment will be made initially for a period of 6 months and can be extended, subject to satisfactory performance. Performance reviews will be held weekly. The appointment can be terminated at any time if found unsatisfactory. Interested candidates may apply by submitting a detailed resume with copies of all experiences and project details, a cover letter summarizing the experience in relevant technologies and software, copies of degree certificate and grade sheets for all degrees, School final, and Higher Secondary exams. Submission accepted only as hardcopy by postal service to the mailing address: Prof. B V. Phani, 6th Floor, Rajeev Motwani Building, Indian Institute of Technology, Kanpur 208016, UP. Please note that if detailed cover letter, copies of grade sheets, certificates are missing, the application will be immediately rejected. Last date of receipt of application: 12/April/2019, before or at 5 pm. Tentative date of interview: 16/April/2019.